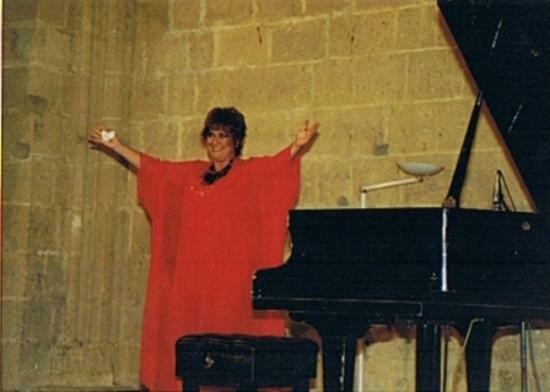 Due to a fractured wrist Turkish Foreign Ministry Music Ambassador pianist Gülseren Sadak cancelled all her concert tours and settled in Ozanköy and Bellapais in 1999. Pianist Sadak named her programme "Tango & Chopin" for the final concert of the 10th North Cyprus Music Festival. Sadak is a graduate of Istanbul Municipality Conservatory in the first rank and she attained virtuosity at the “Academy ofMargaret Long & Jacques Thibaud” for nine years in Paris. She studied with M.Long, P. Barbizet, M.Tagliefero and L.Descaves in Paris; with C. Vidussi at Salzburg Mozarteum Academy, with Prof.K. Taylor and Prof. C.Grindea in London. After her succesful 11 concerts tour of France organized by “Jeunesses Musicales de France”, she was appointed as “Ambassador of Music” by the Foreign Ministry of Turkey. She performed in numerous recitals, orchestral concerts, TV and radio programs in Europe from Spain to Bulgaria and Poland to Italy, Asia, North Africa, Middle East and Far East. 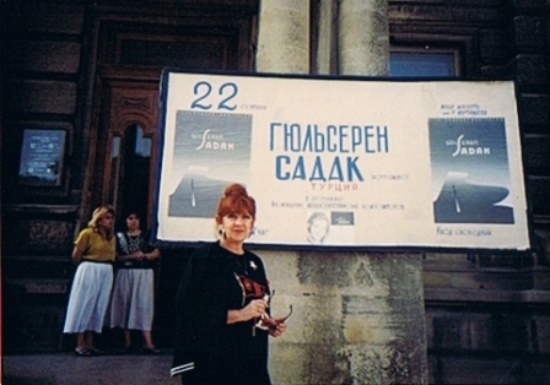 Sadak is the first Turkish pianist to perform in Poland and her recital in Chopin’s House was televised live. She was invited to Poland for the second time on the occasion of the “First Sopot Classical Music Festival” to perform where Chopin made his early compositions, in the manor house of a friend of his father’s, in Sopot near Gdansk. Due to a fractured wrist, Sadak returns to Bellapais Abbey after a 15 year interval, where she last performed at the closing concert of the 2nd. Bellapais International Music Festival. She fell in love with Cyprus and has lived in Ozanköy and Bellapais since 1999. Her foreign resident friends nick named her as “Rosa” as they find it difficult to pronounce “Gülseren”. Among Sadak’s awards are the prestigious “International Busoni Piano Competition (Italy)”, the “Radio Paris Meilleur Interpret Competition”, the “Golden Key of Vevey Town (France)” and Pakistan State award “The Golden Artist Medal”. In the closing concert of 10th International Music Festival on 17 November at 8.30 pm Sadakwill perform Tangos by De Falla, Granados, Albeniz and Piazzolla and will continue with Chopin's Polonaise and Fantasie Impromptu. Girne: deniz Plaza, deniz Shop, Hotel Bellapais Gardens, Dome Hotel, Kybele Restaurant, Bellapais Box Office and at the entrance of the concert hall.